The body has been discovered at a house in Hackballscross, Co Louth. A WOMAN’S BODY has been discovered at a house in Co Louth. It was found at a property located in the Rathmore area of Hackballscross at around 3.45pm this evening. It is believed that the woman may have died as a result of head injuries. Gardaí have said that they are investigating the circumstances surrounding the death of the woman. It is understood that gardaí are investigating a potential link between the death of the woman and a crash on the M1 this afternoon in which one man was killed. In that incident, one man died after his car collided with a truck and another car on the northbound side of the Dublin-Belfast motorway at about 2pm. Local media have reported that the deceased had been driving the wrong way up the northbound lane when the collision occurred. The scene is currently being preserved ahead of a Garda technical examination and the remains are still at the scene. The office of the State Pathologists’ has been informed. Email “Woman found dead in Louth house as gardaí probe link with fatal motorway crash”. 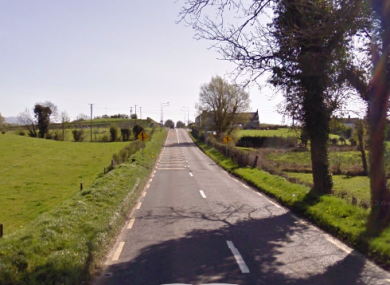 Feedback on “Woman found dead in Louth house as gardaí probe link with fatal motorway crash”.